Begin here with a free download~ ENJOY! 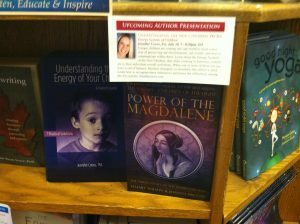 Honoring your energy and teaching your children to honor their energy is a great way to start. The long-awaited, compelling sequel of the best-selling book The Essenes – Children of the Light. 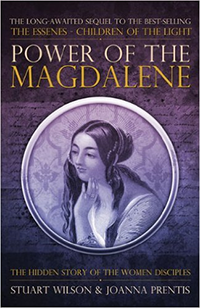 What is the secret of Mary Magdalene s power? Who were the female disciples of jeshua? Did Jeshua and Mary Magdalene have a child? How can we understand the New Children now being born? What changes will the New Consciousness bring into our lives? This is the story of the Essenes and the female disciples of Jeshua who were deliberately marginalised and written out of the record. This book focuses on the partnership of Jeshua and Mary Magdalene, and culminates in the work of the Crystal Children who are just now being born. This fascinating story was revealed through the process of past life regression and through the insight of an angelic being called Alariel. This is the inner history or our planet as it has never been told before. A narrative to inspire the spirit and warm the heart. 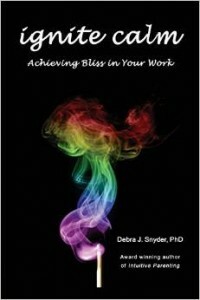 In Ignite CALM: Achieving Bliss in Your Work, Dr. Debra Snyder brings forth holistic techniques and lessons to help readers transform their professional lives for the better. This book takes the steps of embracing conscious business qualities, teaching how to bring your best self to work each and every day and discover true happiness while on the job, no matter what the job. Most of us need to work for a living. There is nothing wrong with a life filled with good, steady work. However, challenges often arise when making a living takes priority over creating a loving, meaningful life. This book will help you find the solution. 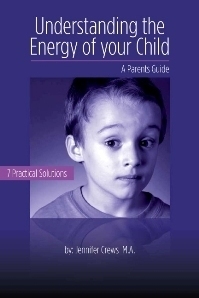 Understanding the Energy of Your Child is the first of its kind offering both a physical and energetic perspective in how we connect with children. The guide provides 7 core solutions along with easy practical applications that you can start today. The guide is simple, direct, and powerful with valuable information that will change your understanding of your child. Learn the ten energy systems of children, learn about their unique gifts, learn tools to better understand why they act out the way they do, and learn all of this while learning more about yourself. Chapter 3 – Know Your Child’s Element I have learned every child resonates with a specific element – water, plants, earth, air, fire. Learn how to determine your child’s element and what element brings your child peace. Children are always communicating through their hearts. The key is for us as professionals or parents to attune ourselves to what a child is telling us. This requires recognizing forms of communication beyond speech, talk, and rational thinking. Children use so much more than just words to communicate and express themselves from their heart. I offer you seven questions to delve into to see how your child’s heart speaks along with adaptations of these same seven questions to ask yourself about how your own heart is communicating.